Brexit probably would have several effects in the energy sector of Great Britain, but not irreversible. 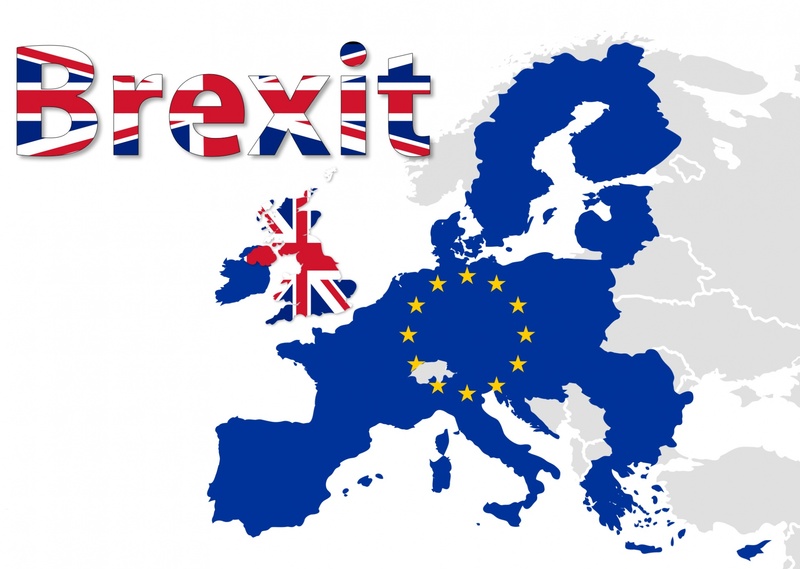 As far the European energy security, we believe that despite Brexit the cooperation between the United Kingdom (UK) and the European Union (EU) would deepen, because of the interdependence. 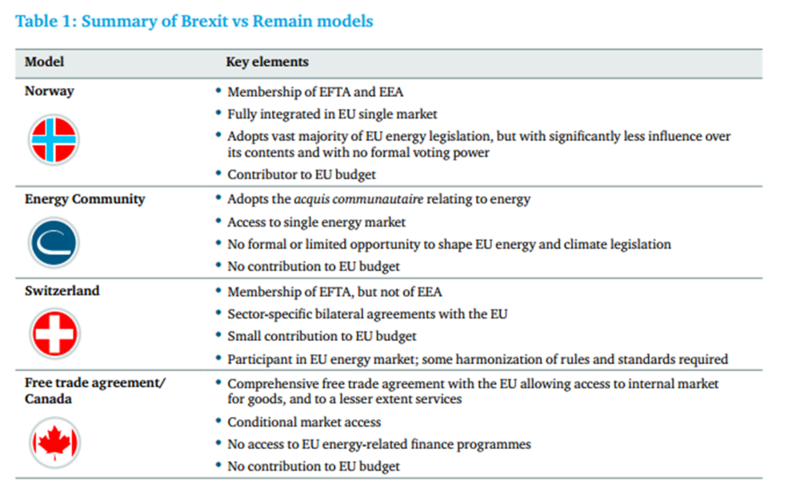 Also, we want to emphasise that despite the Brexit, UK would choose to remain a member of the European Energy Union perhaps based on the Norwegian or Swiss model. Replace coal with natural gas, which can import in the form of liquefied natural gas – LNG from various sources, such as the US. The introduction in LNG form is advantageous because it is expected up to 2025 global LNG prices averaged approximately 4 – 8 $ / BBtu, because there is an oversupply of the US and Australia. Through this strategy, the country will succeed and its environmental objectives. Open up new areas in the UK, European and Foreign companies for exploration and production of hydrocarbons in the UK Exclusive Economic Zone. 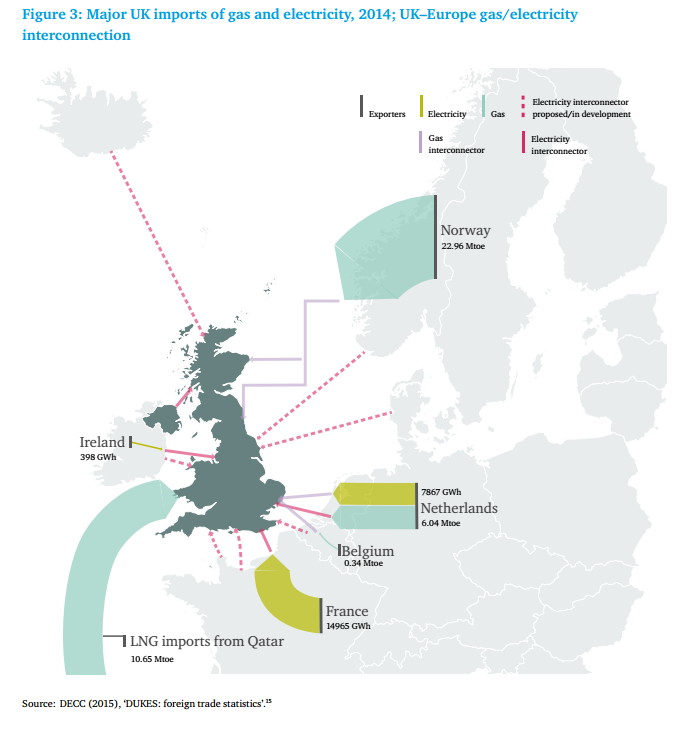 It is also evident from the following figures that Great Britain needs the European Union Energy to secure its energy needs in collaboration with its European neighbours, mainly to Norway, France and the Netherlands. Furthermore, it is evident that the UK, like the EU, is dependent on massive hydrocarbon imports. Of course, it is remarkable to note that UK is the largest oil producer and the second gas producer in the EU of the 28 states (27 after Brexit). By about 90% in Coal consumption. Our analysis indicates that the biggest risk for the UK Energy Sector is to be excluded from the European Internal Energy Market after the Brexit negotiations. Many of the risks for the UK Energy Sector (especially after Brexit) which are indicated in this analysis are confirmed by the National Grid of the UK in a recent article by Reuters. The ease with which a deal might be negotiated with other EU states and institutions. 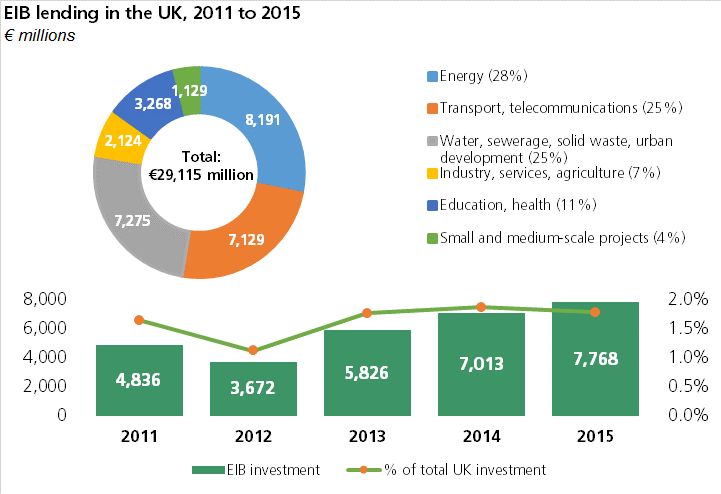 In which type of renewables should the UK Energy Sector invest more money and develop? In which new renewable energy technologies UK Energy companies should focus their R&D innovation? The current risks and future challenges for the UK Energy Sector is a dynamic process, so the overall results of our analysis can change rapidly in the near future due to unpredicted geopolitical, economical, policy, social or technological factors. Γεια σας κυριε Πιτατζη. Εξαιρετικο blog! Μολις το ανακαλαυψα. Ειμαι πρωτοετης φοιτητης και θα ηθελα να ασχοληθω με τον τομεα του oil & gas. Μηπως θα μπορουσατε να μου δωσετε ενα e-mail (ή εποικοινωνηστε με το δικο μου, το συμπληρωσα στη φορμα) ή καποιο facebook? Οτιδηποτε. Μονο δυο ερωτησεις θα ηθελα να σας κανω σχετικα με το petroleum engineering (μιας και ειστε γνωστης του αντικειμενου).